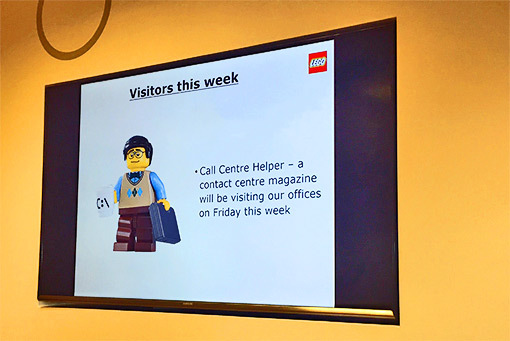 What Information Should You Be Displaying on Your Contact Centre Wallboards? Here’s a list of what you should be displaying on your wallboards, in terms of metrics and other innovative ideas, to encourage positive advisor behaviour. Splitting a large contact centre into smaller groups has been proven to increase productivity, efficiency and engagement amongst advisors. So, bringing this small group mentality into a large contact centre, by segmenting the floor space into groups, can be beneficial. And, if you use wallboards to provide KPI statistics for each group, you can offer a source of motivation, as each advisor can see how their contribution has affected team stats, growing a sense of community. Also, if you compare groups with one another and have live leaderboards on screen, you can offer healthy competition, which may boost morale. Mike also suggests that “these last two call statistics are the most significant to most customers, as they allow contact centres to reduce abandoned call rates very quickly and easily. 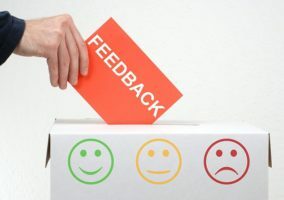 If you include data of team trends, comparing actual performance against goals or the current week’s performance versus the week before, this information can spur advisors on to give that little more during customer interactions. The trend comparing performance against goals can be very useful, especially if achieving these goals can be rewarded in some way, as targets can be brought to life. Also, comparing current performance to a previous point in time can help to show advisors how they have improved over this period, providing a sense of accomplishment. 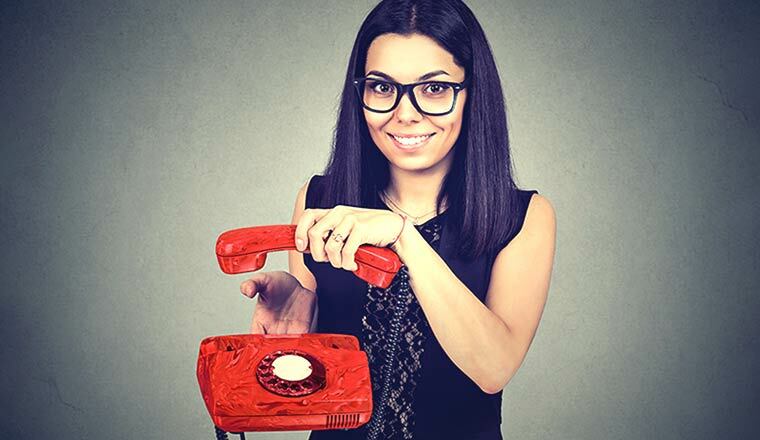 It is a common problem for contact centres that they do not get the time to train advisors thoroughly before they get onto the call centre floor. So, why not use wallboards to give advisors additional tips for building rapport, using empathy, positive words and so on, to remind advisors of content covered in the training process. Giving advisors these helpful hints and techniques to try out increases the number of approaches that advisors use during calls, which enhances advisor adaptability. 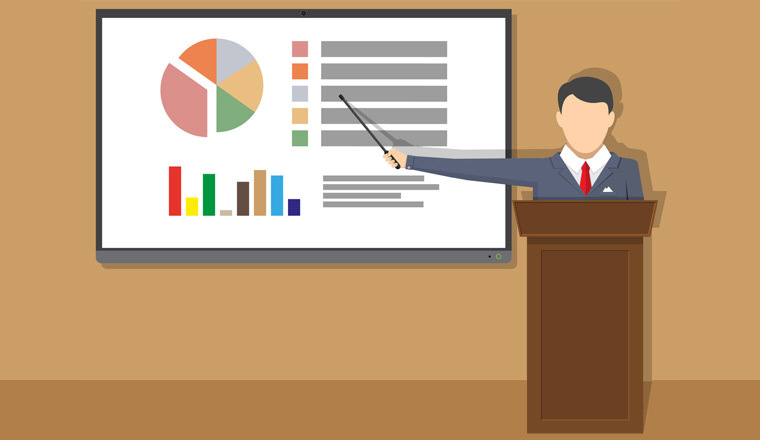 DVDs and PowerPoints are often used to increase interactivity and variety, but they must be replaced every week or two, to maintain interest in what is being displayed. Contact centres are often frustrated by the lack of communication from other departments in the company. For example, the marketing team may not inform the contact centre of a new offer on a product/service, causing difficulties when customers phone in. So, why not give marketing and production space on your wallboard to present live updates on products and deals? This will keep advisors in the loop, increase brand awareness and improve communication between departments. When the company changes policies and procedures that have an impact on the contact centre, it is important to let advisors know. Placing this information on wallboards is a great way to help the team not to forget about changes and can boost proactivity, if advisors are made aware of the need to alter something. However, be wary of spreading confidential information, especially if there are external visitors in the building. Recognising advisor achievements and sharing them with the rest of the contact centre team can improve morale, as advisors feel the work that they are doing is being appreciated. These achievements would ideally be a mixture of a “spotted doing something great” type recognition or based on daily, weekly and monthly statistics which shine light on the highest performers. However, it is important to keep this type of information on wallboards positive, as negative messages may lower productivity, damage morale and increase attrition rates. Wallboards provide the ideal platform to publicise the incentives that are offered to advisors, making the contact centre team aware of the efforts that are being made to improve their work environment. So, advertising gatherings, competitions, events, holidays, lunches, rewards programmes, and so on, will subtly signal that effort is being made to refine the workplace and break up the repetitive routine. Also, promoting these functions can increase turn-out, allowing more of contact centre floor to associate positive experiences with the workplace, boosting their affinity with the company. During a visit to AO’s contact centre in Bolton, we discovered that the company designated wall space to flow charts which follow separate customer journeys. The impact of doing this was to remind advisors of the processes that customers follow to get to their desired outcome. So, why not use wallboards to the same effect? Give advisors the information to steer a conversation in the most efficient way that also reduces customer effort. Absenteeism and sick days will undoubtedly rise during the Olympics, World Cup and Superbowl, but call volumes will be unlikely to change. So, it could be wise to show the action live on the wallboards, to minimise the negative impact these events have on staff numbers. Furthermore, contact centres can use the excitement of these events to bring a positive atmosphere into the contact centre by turning them into games, sparking healthy competition between advisors and building a community environment. This will peak during the action of the competition, making the option of having coverage live on wallboards even more appealing. Follow the links to find our suggestions for games during the World Cup and Olympic Games. If used in the ways specified above, wallboards can be a great motivational tool in the contact centre. But using them as highlighted below may actually reinforce negative behaviours. This is an important point, because too many metrics on a wallboard at one time can be confusing, and visibility could also be an issue if all metrics are crammed onto the screen. The confusion stems from the fact that the image on a contact centre wallboard will change every fifteen seconds, on average, and whilst managers may have spreadsheets of statistics which gives them time to review the information, advisors do not have that luxury. But do not just leave the screen there for longer, as Damian’s point about using metrics “intermittently” is important. So change the content so that advisors engage with the wallboards, instead of forgetting they are even there. It may be a good idea to remove time-based metrics from wallboards and instead focus on those that positively influence call quality, such as First Contact Resolution (FCR). Paul Bryant, Head of Operations at Clydebank, suggests another metric that could be considered inappropriate for wallboards, stating: “I’m not convinced that showing staff how many calls are queueing, for example, would add much value. In addition, James Soules, Head of Sales & Services at Mulberry Holiday Cottages, notes that “in my experience, restricting view on the number of available advisors is worth considering. “Let your management team see this data to ensure headcount and call flows are managed, but not the wider workforce. This will help stop any possible drop in individual productivity. Any messages displayed on wallboards should be positive, especially if the posts are specifically directed at certain agents. This means that only the statistics of top performers against certain metrics should be shown, not the whole list of advisors. This is because advisors at the bottom of the list may have only been unfortunate with the calls that they received and if this is broadcast in a negative light on the wallboards it could have a negative influence on their morale. So, be wary of sharing negative information like this and disciplinary warnings etc., and also remember the importance of avoiding confidential information being on show, particularly if “outside” visitors can view the wallboards. What is the point of having a wallboard if advisors cannot even read the information that is being displayed? None. So, it is important to go to the furthest point of the contact centre space designated for that screen and try out font sizes and styles to find the optimum conditions. Also, beware of how the colour schemes chosen will affect advisors who are colour-blind and therefore cannot sufficiently see the thresholds and/or data. Finally, whilst this is not exactly about what is on the screen, think about the angles at which advisors are viewing the wallboards. Are they affecting the ability of advisors to read the information? Do you have any advice on what should and should not be displayed on wallboards? Are Wallboards Good or Bad? 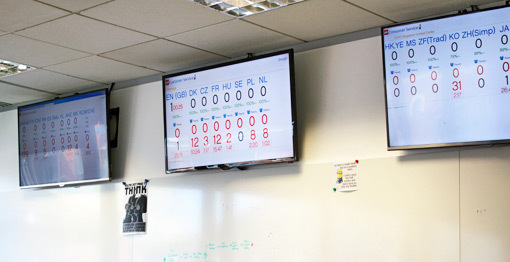 What are the Best Ways to Use Contact Centre Wallboards? Are You Displaying the Right Metrics on your Wallboards?